RCMP say the vehicle caught on fire after crashing on Cow Bay Road early Saturday morning. Three people are dead after a vehicle caught fire after crashing in Eastern Passage, N.S., early Saturday morning. RCMP say they received a call at about 1:30 a.m. about a vehicle on fire off Cow Bay Road. Police say the three occupants in the vehicle died at the scene. "The vehicle was still engulfed when they arrived at the scene," said Cpl. Lisa Croteau. On Monday, Croteau told CBC News two females and one male were killed in the crash. No further information on the victims is being released at this time. 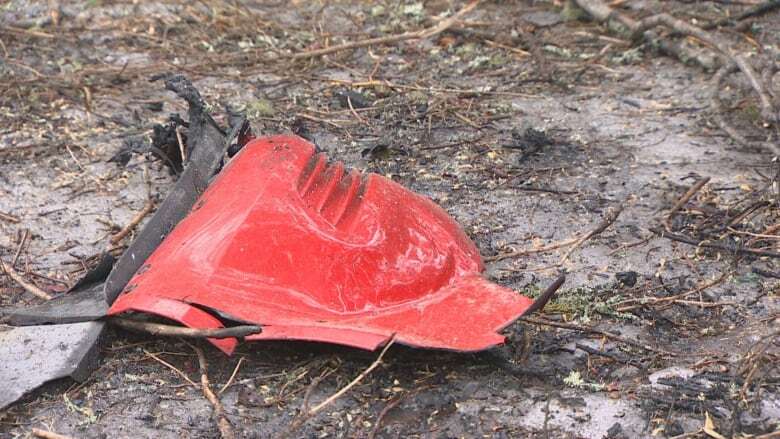 A section of Cow Bay Road was closed as RCMP carried out an investigation, but the stretch of road has since reopened. The vehicle had been in the woods next to Cow Bay Road. 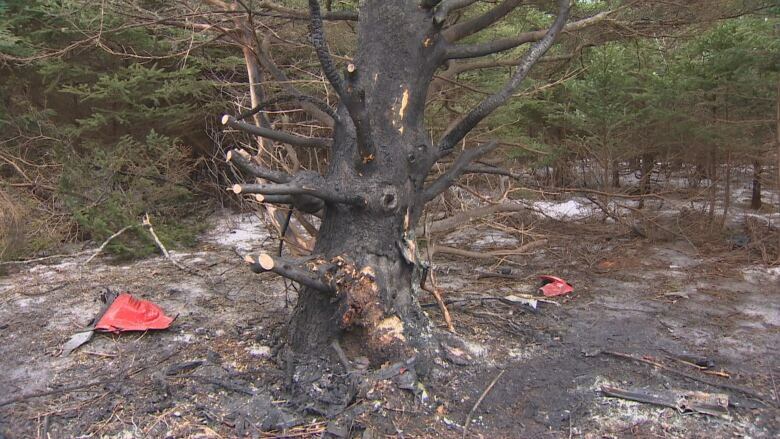 Remnants of the vehicle left a trail to a charred tree about 100 metres back from the road. Some of the branches on the tree appeared to have been cut recently. A day after the crash, someone placed butterflies on a traffic sign near the site. 48-year-old man dead after single-vehicle crash in River Philip, N.S.